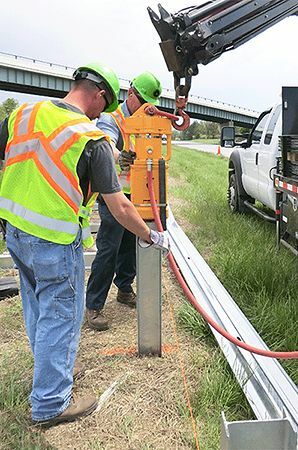 The PD-200 Heavy Duty Post Pounder is the perfect choice for driving Beams, Round, Square or Rectangular Tubing, Wood Posts, Stakes or any shape. 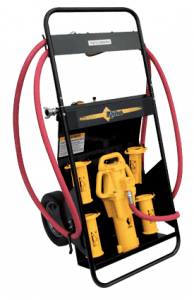 Features a 4" piston and 205lb ductile iron casting body. The 5 1⁄2" (139.7 mm) and 7" (177.8 mm) I.D. master chucks are of an all welded, reinforced steel and tubing construction. The chuck is equipped with extra long chuck adapter attachment lugs. Standard chuck adapters are available in a variety of sizes.